How Dangerous Are Common Household Cleaning Products? According to a South African study, 21.5% of poisoning cases in children under the age of five were due to accidental exposure to household cleaning products. Cleaning products can be hazardous for adults too. Toxins in these products have been linked with health problems ranging from asthma to cancer, reproductive disorders, hormone disruption and neurotoxicity. 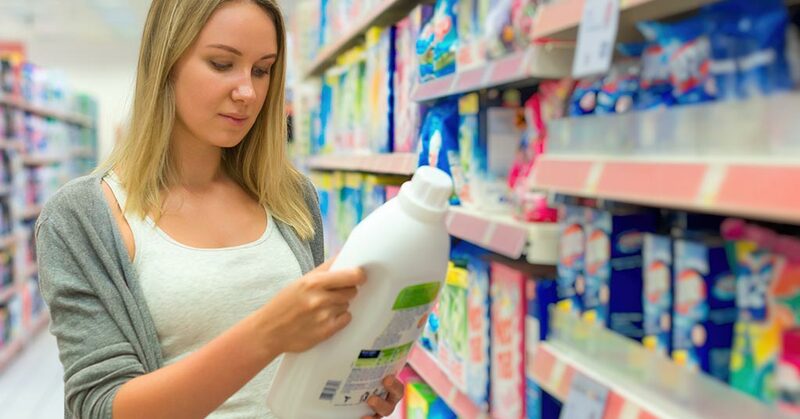 Here and elsewhere, the laws are very lax for manufacturers of cleaning products – often they’re not required to alert the public to the dangers of the chemicals in their products. 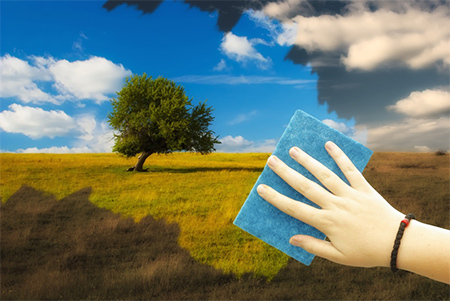 One option is to choose “green” cleaning products, which are typically (although not reliably) less harmful. Alternatively, the best bet is to be informed and read labels, avoiding products that contain especially hazardous ingredients. Also, use gloves and ensure there’s proper ventilation when using just about any standard household cleaning product. Of course, always make sure cleaning products are safely out of children’s reach. Here we provide an overview of some of the toxic chemicals to look out for. Commonly found in air fresheners and fragranced cleaning products, phtalates are known to be endocrine disruptors, which can lead to tumours, birth defects and developmental disorders. Often phthalates aren’t disclosed on product labels because of proprietary laws protecting the ingredients of particular scents. When possible, opt for fragrance-free cleaning products or those that specifically state they don’t contain phthalates. Alternative: Use essential oils, citrus fruits or incense to fragrance rooms. Triclosan is a common active ingredient in antibacterial cleaning products. Its widespread use is thought to be contributing to the rise of antibiotic-resistant bacteria, or “superbugs”. In the United States, scientific consensus about the dangers of anti-bacterial products has led the FDA to ban 19 chemical compounds commonly found in anti-bacterial soaps, including triclosan. It’s suspected that triclosan is an endocrine disruptor, which can interfere with hormonal balance. Triclosan is also highly toxic to aquatic organisms, which makes its use controversial – cleaning products tend to end up in the ocean eventually. Alternative: The best and safest way to disinfect surfaces such as chopping boards is to use very hot water (over 72°C). White vinegar is also an effective disinfectant, especially when combined with a mild hydrogen peroxide rinse (3%). Also known as 2-BE or butyl cellosolve, 2-butoxyethanol is a glycol ether found in window cleaners, degreasers and some multipurpose cleaners. Exposure to 2-butoxyethanol can cause skin and eye irritation. Also, prolonged exposure to high concentrations has been shown to cause reproductive problems, and has been associated with liver and kidney damage. It’s recommended that you wear gloves and protective eyewear when using products containing 2-BE. Alternative: Try all-natural degreasers like lemon juice, or opt for a commercial version such as the concentrated gel called Triple Orange. Perchloroethylene, also known as PERC, is used for dry-cleaning and in some upholstery cleaners. Exposure usually occurs through inhaling the fumes. Perchloroethylene is classified as carcinogenic. It has been linked to the development of liver and kidney tumours. It may also cause increased risk of Parkinson’s disease. If using PERC yourself, wear a mask and gloves, and protect your eyes. Alternative: If possible, opt for a dry-cleaner who uses a different method, such as liquid carbon dioxide. Also, certain items of clothing and soft furnishings, which are marked as “dry-clean only”, can in fact be hand-washed in cold water. Chlorine comes in many forms, from common table salt (sodium chloride) to deadly chlorine gas. Elemental chlorine, which is produced from brine by electrolysis, is used as a commercial bleach and can be found in many household cleaning products, including toilet bowl cleaners, mildew removers and laundry whiteners. Chlorine is a respiratory irritant and can cause acute symptoms such as coughing, eye irritation and chest pains. It’s essential to avoid skin contact when working with it. Also, never mix products containing chlorine bleach with those containing ammonia. Doing this creates chloramine gas, which can be fatal if inhaled. Alternative: Effective alternatives for a toilet bowl cleaner are borax powder or vinegar. Commercially, chlorine-free oxygen bleach powders are also more readily available than before. Also known as quats, this is another type of anti-microbial. It’s found in fabric softeners and antibacterial cleaners. Like triclosan, quats contribute to the development of drug-resistant bacteria. They’re also a skin irritant. Alternative: A natural alternative for commercial fabric softeners is white vinegar. 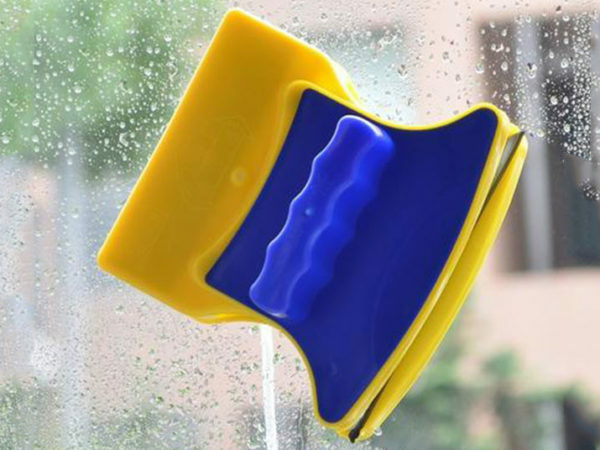 It can be added to the fabric softener dispenser on your washing machine – and it has the added benefit of removing soap residue from the inside of the machine. Found in most bathroom and surface cleaners, ammonia is an effective polishing agent that evaporates without leaving streaks. Unfortunately, it’s also an extremely harsh irritant, and prolonged exposure can cause respiratory issues and eye and skin irritation. Reduce exposure to your skin when working with ammonia-based products and avoid breathing the fumes by wearing a protective mask. Alternatives: For polishing silver, include toothpaste – and for glass surfaces, diluted vinegar and newspaper work wonders. Also known as lye or caustic soda, sodium hydroxide is highly corrosive. 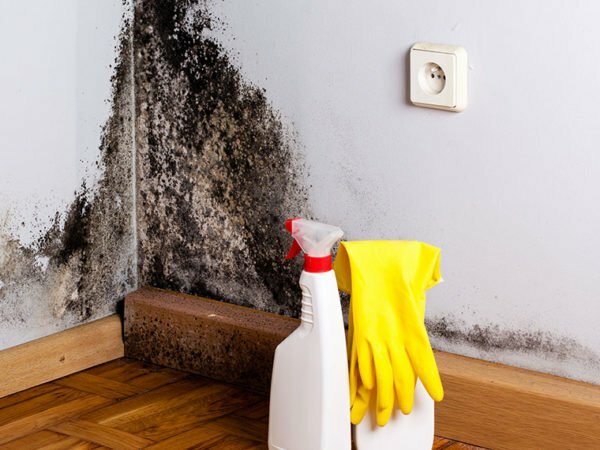 This is why you might find it in oven and bathroom cleaners, as well as drain openers and some disinfectants. It’s essential that you have adequate protection when using products containing sodium hydroxide. It can burn your eyes, skin and lungs. Wear gloves, eye protection and a mask, particularly in an enclosed area such as a bathroom. Also, minimise the amount of time you’re exposed to any fumes. Alternatives: Natural alternatives include vinegar for unblocking drains and baking soda as an oven cleaner. At Chelsea Cleaning, we offer expert cleaning of carpets, curtains, upholstery and mattresses. Contact us for more information or a quotation and we’ll be happy to help.